This is how a fjord on the Barents Sea coast looks like when filled up with mining waste. Russia and China now call for ban on such marine waste disposal. Langfjorden is not one of the spectacular views promoted in travel brochures from “The Land of the Fjords.” Filled up with tailings after decades of iron-ore mining, the narrow fjord just outside Kirkenes in Norway’s northeastern corner is hardly navigable. Papua New Guinea, Indonesia and Norway have one thing in common; all three continues to dump tailings, or mine waste, into oceans. At a September meeting in the International Union for Conservation of Nature (IUCN), Norway along with Turkey were the only two of 53 participating countries to vote against an international ban on marine mine waste dumping. IUCN is a membership union composed of both government and civil society organizations. Bernt Nilsen, one of the locals in Kirkenes standing up against dumping of tailings at sea, says Norway’s vote is an oxymoron. “It is amazing how Norway in all contexts brands itself as the world’s environmental moral police, but in practice acts opposite when exposed to pressure from the industry,” Nilsen says. “It is unwise, and totally irresponsible, to dump tailings in the sea. It is an irreversible process that one can’t foresee the consequences of. We take a long-term risk to save some little money now. The damage to marine life, today and in the longer run, can prove to cost way more than saved in the first place. That bill will be passed over to others than the mining companies,” Bernt Nilsen argues. Dumping of mining waste to Langfjorden has stopped. That fjord is filled up. The tubes from the processing plant are stretched further out to the nearby Bøkfjorden where the water is deeper. Kirkenes-based mining company Sydvaranger Gruve today has a very small-scale production. Iron-ore prices are too low for larger profitable operations. The use of submarine disposal of tailings is not unique for Kirkenes near Norway’s border to Russia in the north. The Norwegian government is giving two other mining companies permission to use the controversial method for waste disposal. In Repparfjord, not far from Hammerfest on the Barents Sea coast, mining company Nussir is planning a copper mine with deposits of up to two million tons of waste tailings annually in the fjord. In Førdefjorden, on Norway’s west coast, Nordic Mining plans to dump waste at deep water from a rutile ore mine. All three fjords; Bøkfjorden, Repparfjorden and Førdefjorden have one thing in common; they are classified as “national salmon fjords” for wild salmon, a classification that in theory should protect their marine life by law. 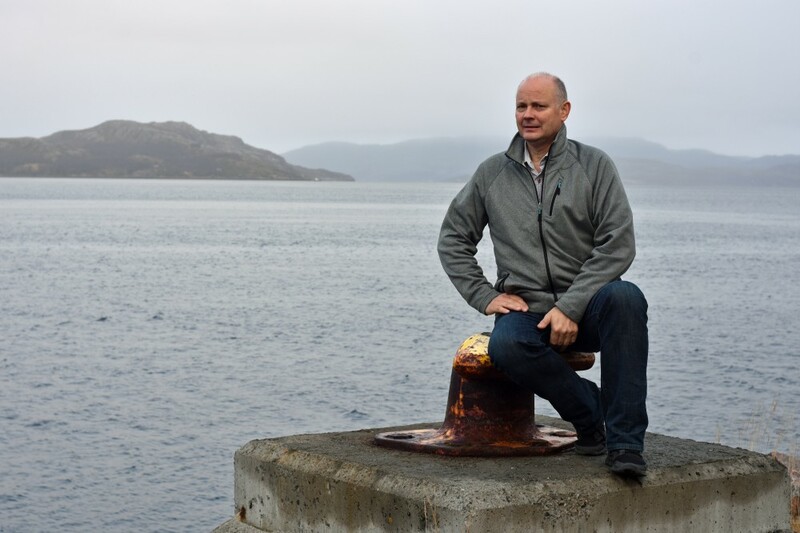 Vidar Helgesen, Norway’s Minister of Climate and Environment, defends the vote against a ban on sea dumping as proposed by the International Union for Conservation of Nature (IUCN) last month. In an e-mail to the Barents Observer the minister argues that pros and cons must be weighed against each other. “In Norway we assess each case individually. There is no scientific basis for claiming that a landfill in general is better than a deposit at sea. We do always carefully consider the pros and cons of alternative solutions,” Vidar Helgesen says. 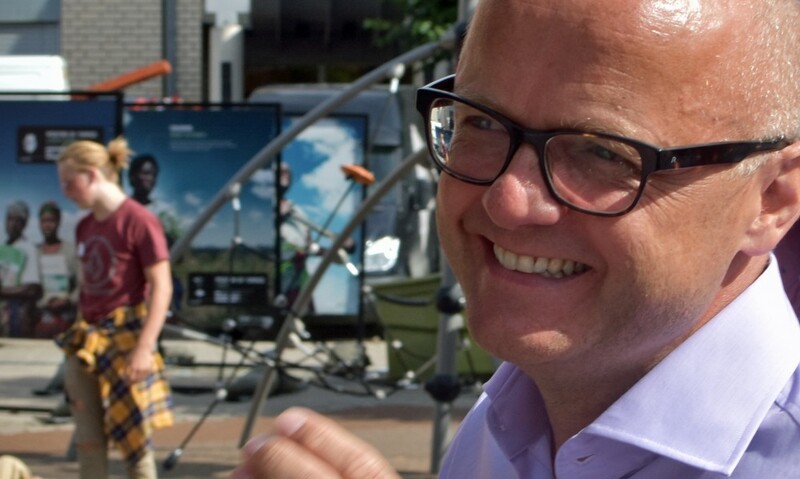 Environmental Minister Vidar Helgesen is not too worried about consequences for marine life in Bøkfjorden on the Barents Sea coast. “Experience shows that new seafloor fauna comes within five to ten years after the deposition has ended,” he says and underlines that monitoring is essential to assess whether the mining operations are done in accordance with agreed assumptions. Isn’t it a paradox that permission is granted to dump mining waste in a fjord in the border areas to Russia, simultaneously as Norway is criticizing Russia for the pollution from the smelter in Nikel? “Sydvaranger Gruve and its sea deposit in Bøkfjorden have local environmental impacts, and there is limited dispersal from the deposit to the surrounding areas. There is no evidence of spread to the Varanger fjord. The rivers that flow into Bøkfjorden will not be affected by particles from the deposit. No particles will be spread to Russia,” Vidar Helgesen says. “We have put strict conditions to the permission,” the Minister concludes. 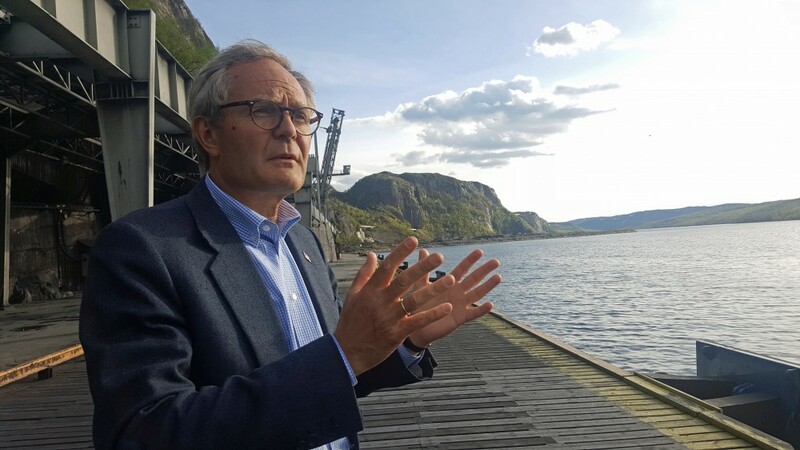 Felix Tschudi, today’s owner of Sydvaranger Gruve, has not responded to questions from the Barents Observer about dumping of tailings to Bøkfjorden from operations of the mining company. At the time when Langfjorden was filled up with tailings, Sydvaranger was a state-owned company.